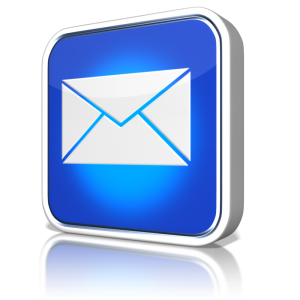 First thing first – make sure you’re using a professional email address. It’s time to get rid of your inappropriate high school email account (cheerchick or sk8rdude), and graduate into a credible email address. The preferred formulas are firstname.lastname@example.com or name.number@example.com. Like every communication during the job search, make sure your email is personal and tailored to the opportunity. The templates are great for getting started with ideas on what to write, but you should always customize. Always use your manners and be brief. Hiring managers are busy people, so use a greeting, “please,” “thank you” and a proper salutation. At the same time, you want to make sure you’re writing a concise message, because your hiring manager doesn’t have a lot of time to read a long email along with your application. Always check and double check your emails for grammar and spelling errors. You wouldn’t want something silly like a misplaced comma to ruin your candidacy for the opportunity. Once you click “send,” there is no going back, so keep these tips in mind while emailing hiring managers to set yourself up for consideration. Have an additional tip? Please share with a comment! This entry was posted in Job Seekers and tagged First Impressions, how to email hiring managers, how to email recruiters, professional email tips. Bookmark the permalink.